Story: Harry Potter and the Deathly Hallows is a much-anticipated motion picture event to be told in two full-length parts. The long-feared war has begun and Voldemort's Death Eaters seize control of the Ministry of Magic and even Hogwarts, terrorizing and arresting anyone who might oppose them. But the one prize they still seek is the one most valuable to Voldemort: Harry Potter. Harry's only hope is to find the Horcruxes before Voldemort finds him. 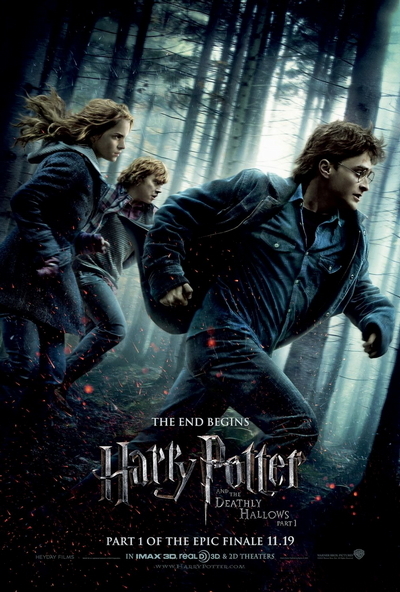 As he searches for clues, he uncovers the legend of the Deathly Hallows. And if the legend turns out to be true, it could give Voldemort the ultimate power he seeks. No longer just a boy, Harry Potter is drawing ever closer to the ultimate battle with Voldemort. Originally to be converted to 3D, the film will now be released only in 2D.